New Year Eve Party is the most awaited event of the year. A promise for tomorrow and pride for the year gone by. When your company wants to charter a New Years Eve party bus, it all adds up to the magic of New Year. There are several things that need to be considered when and where to charter bus in Houston for special events. 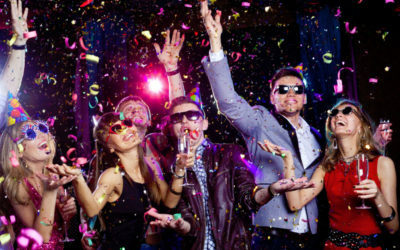 There are many group transportation companies in Houston that let you host your New Year Eve party with grand success. The place to be visited is the most important factor of planning and finding bus rental in Houston. Does the place have adequate parking for a mid-size van or bus? Does the destination require additional charges by way of permits or toll fares? Find out about more about your choice of a bus rental in Houston. Ask around the locality and find out if the company is as good as it is shown on the webpage. Find out if the special event vehicle rental in Houston is free and available to provide you services according to your New Year’s Eve plan. Choosing the apt Houston shuttle bus rental requires the charges and overheads to align with your corporate budget for this event. Make sure that all sundry charges such as fuel, driver and bus staff food and accommodation, and rental plan adds up to less or equal to your transport budget for this event. According to the number of your co-workers who have consented to travel, you should choose the type of coach you require. While a mini-van will work for 8 to 10 employees, a bigger headcount will require bigger buses. Write to us and let us know how your New Years Eve party bus rental is being planned in Houston.